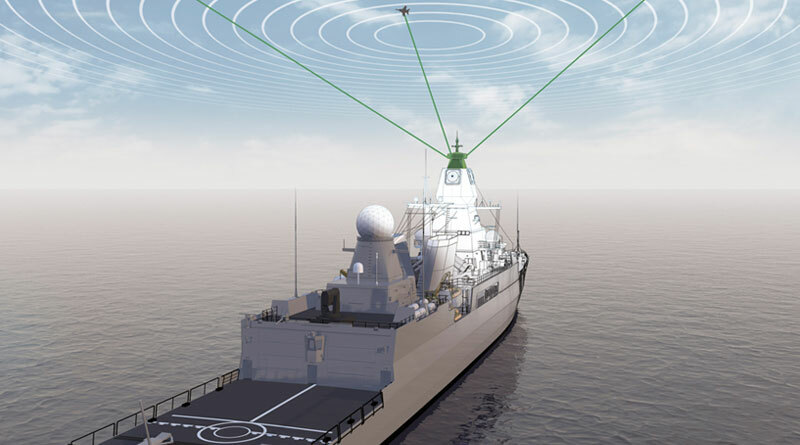 Doing away with the rotating antenna on top of naval ships, Hensoldt, the German sensor provider, has developed a new product which leads the next generation of military identification (IFF, identification-friend-or-foe) systems on modern warships. NESIS 4000 capitalises on the latest AESA (Active Electronically Scanning Array) radar technology giving it superior performance compared to conventional systems. Due to this technology the radar beam can be steered electronically so that the system does not require a mechanically rotating antenna on top of the ship’s mast. The first system will be delivered to the launching customer by end of this year. Hensoldt supplies customers around the world with air traffic control and identification systems for military and civilian applications. Its MSSR 2000 I secondary radar is deployed for military friend-or-foe identification by the naval forces of Germany, France, UK, Australia, Chile, Norway and Finland.